Solid core, engineered construction giving a substantial feel. The White Napier 2-Panel door is a traditional door that would sit well in any home. It's clean crisp white finish give the door a sleek and high quality appearance to enhance your overall finish. This door is manufactured with a solid core is finished with a white primer, which is ready for final top coats to be applied. These doors are available in a wide variety of sizes to best suit your requirements. 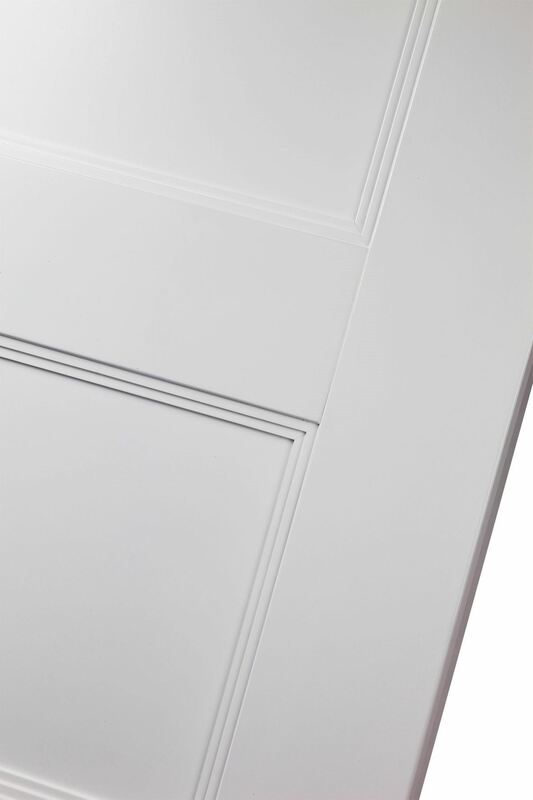 The White Napier 2-Panel door is a traditional door that would sit well in any property or setting. It's crisp satin white finish makes it a popular choice for many homeowners. This door is manufactured with a solid core and is then finished with a white primer, which is ready for final top coats to be applied. The doors appearance is also enhanced by the stepped panel detail which is entirely individual to this design. This door has a contemporary design and is factory finished in a white prime paint. 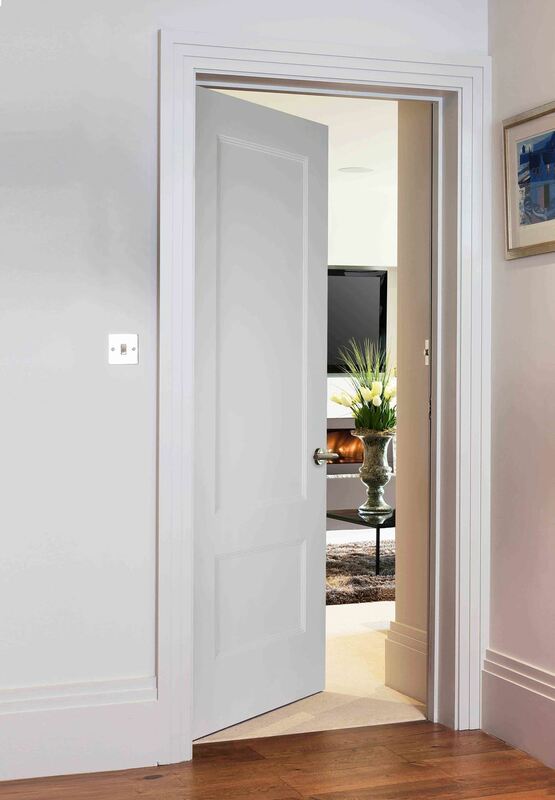 The surface of the door is durable and can be cleaned easily, but as with all doors we advise that you apply a finish or another coat of paint to all trimmed edges when using in areas of high humidity to ensure durability. In trimming any part of this pre-primed door you will need to re-seal the exposed edges with a primer and any applicable top coat. *In trimming the height of this door you may expose the core. Doors are OK. Not exceptional.